Use our video gallery with a functional lightbox to preview short Bee and Beekeeping videos. Creative Commons License for beekeepers to use in their bee education programs. Send an email to freevideo@myhivetool.com and receive links to FREE mp4 files of the videos below. Take a detailed look at a Honey Bee Queen . 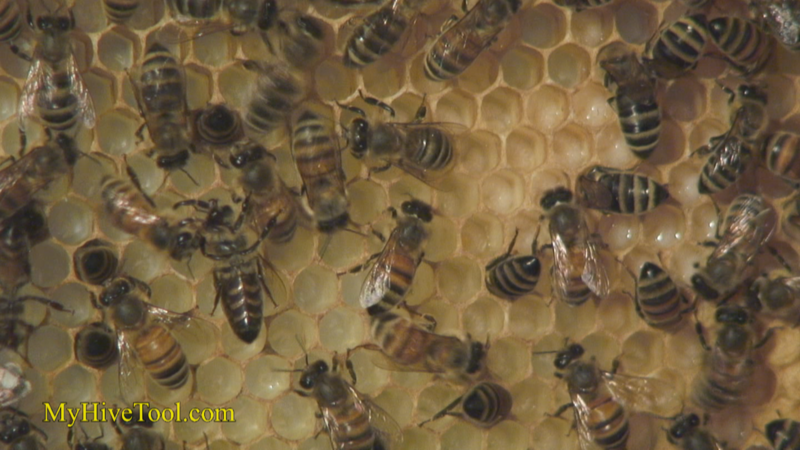 1080i HD video of a Queen Honey Bee for you to use FREE in your beekeeping education programs. Take a detailed look at a Worker Honey Bees. 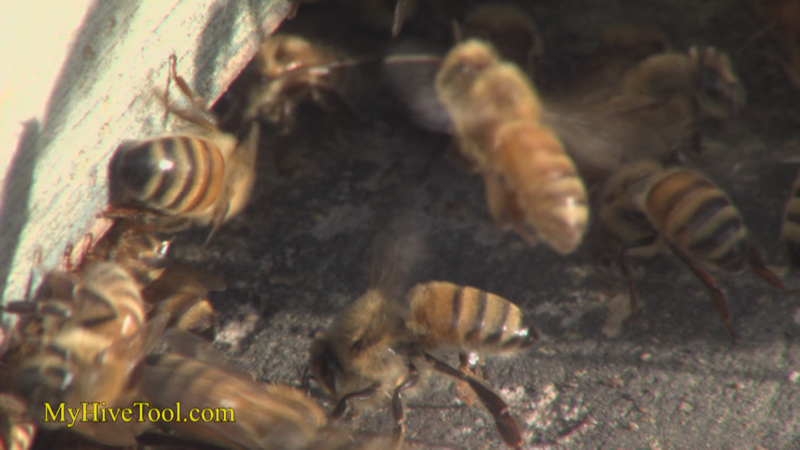 1080i HD video of Worker Honey Bees for you to use FREE in your beekeeping education programs. Take a detailed look at a Drone the male Honey Bee. 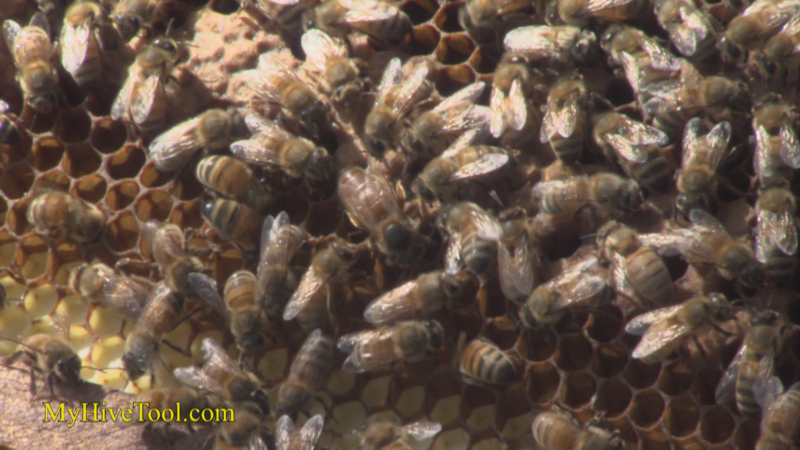 1080i HD video of the male Honey Bee for you to use FREE in your beekeeping education programs. Take a detailed look at a honey bee swarm. 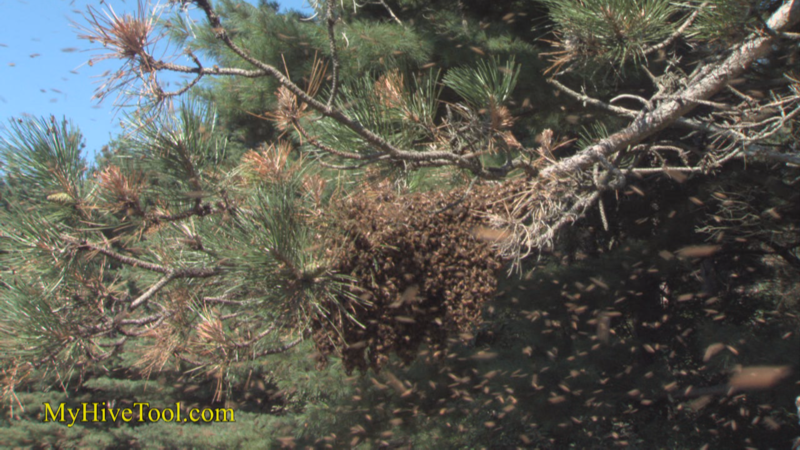 1080i HD video of a Swarm for you to use FREE in your beekeeping education programs. Take a detailed look at honey bee brood. 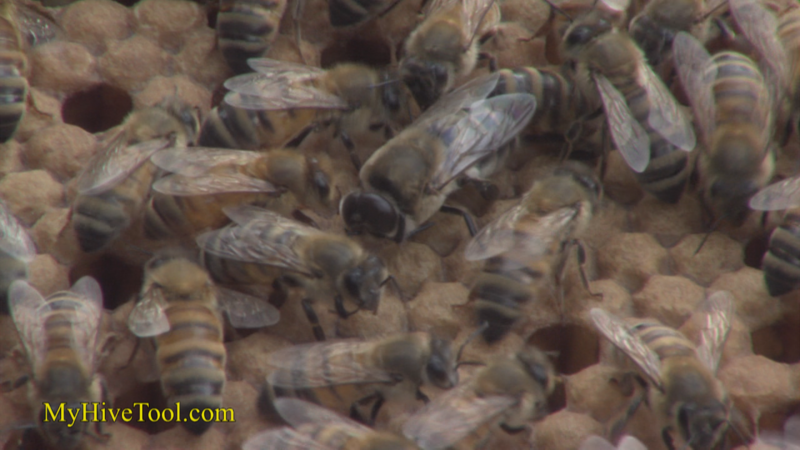 1080i HD video of Eggs, Larvae, and Pupae for you to use FREE in your beekeeping education programs. Take a detailed look at Honey Extraction. 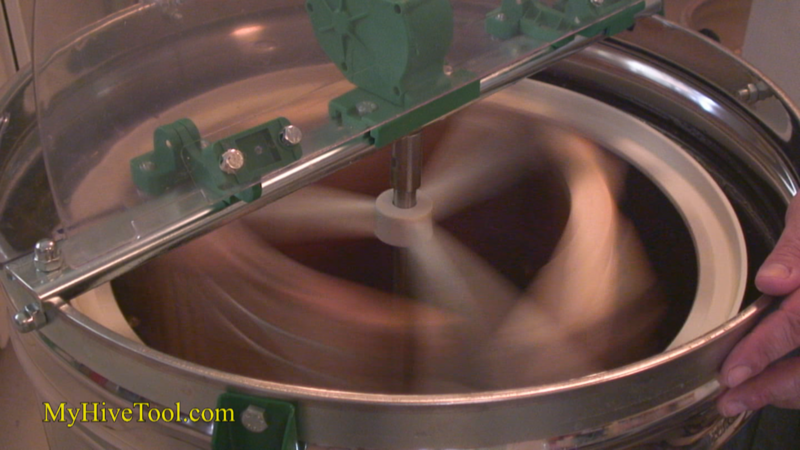 1080i HD video of Extracting Honey for you to use FREE in your beekeeping education programs.